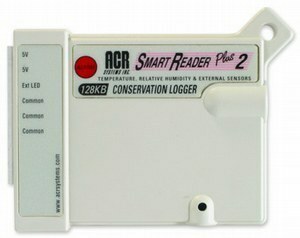 Why Do I Need Data Loggers? Knowledge is a funny thing. There are the things we know, the things we think we know, and the things we do not know that we do not know. It is this latter category that should concern us, for within it lies the greatest risks and costs. Why do you need data loggers? Well, the the short answer is that if you do not have the tools to independently verify important process or operational parameters, you really do not know what is going on. You literally do not know what you are doing! We do not mean to be blunt, however without the facts you simply cannot make good decisions, or even determine if the course of action you are on is counterproductive. That is a scary proposition. So the real question is; do I Know Everything I Need to Know to Do my Job as Well as I Can? Whether it is how you are using expensive energy, a critical temperature that needs to be monitored, or the ambient differential pressure for an operating room; some things cannot be left to chance. Our data loggers allow you to easily and independently measure and record virtually anything, and then bring that data into your PC in seconds. Suddenly, you have facts instead of opinions, and the path to greater safety and efficiency becomes clear. You can verify the performance of energy conservation modifications, create a continual record of a cold storage facility, or see how often an air handler cycles. We have over (100) moodels of loggers, for virtually any application. The bottom line is - Data Loggers give you the facts you need to make good decisions that will benefit your operation. So if you are wondering about those things you do not know that you do not know, give us a call and let us help you illuminate the dark areas. By knowing where you are, you can begin a scientifically valid methodology for continual improvement.